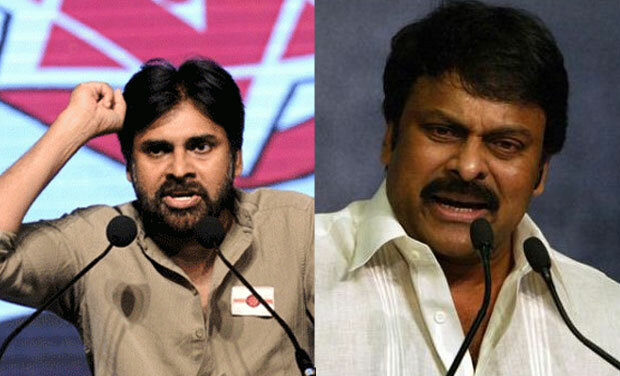 Can Chiranjeevi strike and get political gold? Mega Star Chiranjeevi's political dreams and aspirations turned out to be a disaster when he failed to show his power with his party Praja Rajyam. Chiru unable to run the party was forced to merge the it with the Congress and went on to become a Union Minister. This did not just hurt his fans but also people of Andhra Pradesh who branded him as a poltical joker, parasite and a sheer opportunist. Chiranjeevi was branded as Andhra traitor when he failed to take a stand against the bifurcation of the state. Following his party's defeat, he stayed away from politics and silently returned to films and is content starring in films. He is now busy with Sye Raa and is readying for his next with Koratala Shiva. Now rumours are spreading that Chiranjeevi may join his brother Pawan Kalyan's Janasena while Congress leaders are pressurising the high command to direct Chiranjeevi to campaign for the party. Chiru meanwhile didnot renew his membership and this triggered rumours that he lacks clarity. However many feel that he got a golden opportunity to show his political power once again in the wake of Congress' alliance with bitter enemy Chandra Babu's TDP. Already many leaders from AP are leaving Congress party following the alliance. The question is whether Chiranjeevi is having the courage and political will to strike the rod when the iron is hot and give shock to Congress and grab the golden opportunity with both the hands and show his political power in the 2019 elections.